We play games, here at Gaming Central. We’re very big fans of playing games, in fact. So big that we’ve made it our bread and butter. So it pains our hearts when a title comes that we play and like very much, but escapes the masses and ends up being kind of obscure. 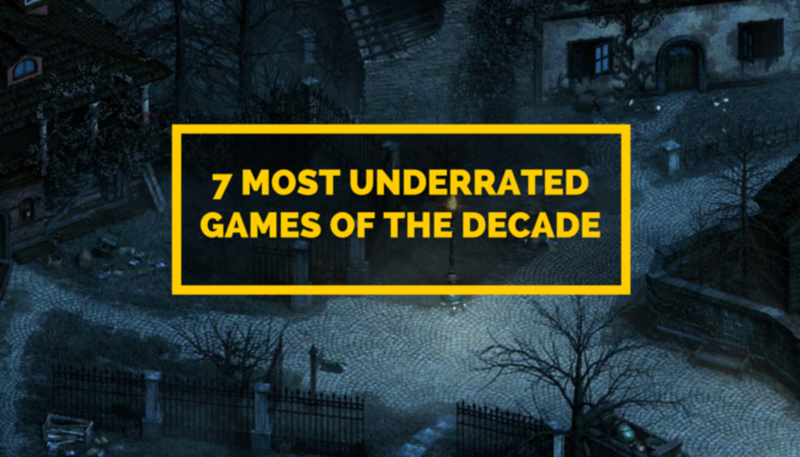 Here’s a list of 7 of our favourite underrated games. Obsidian games has a cult following, and always, always elicit extreme reactions from people: either immediate dismissal, or worshipful praise, and that’s for good reason, too. Most of their games are buggy (at launch) and almost always broken rehashes systemically, but offer some of the most reactive and well written characters and quests. This is mostly because of the fact that Obsidian used to be a third party contractor, meaning publishers came to them with their pre-established intellectual properties (in this case, Bioware’s Knights of the Old Republic and Bethesda’s Fallout 3) on pre-made tech (Odyssey Engine and Gamebryo Engine) and on a smallish budget with (especially in case of New Vegas) short timelines. They’ve made some very beloved games like Neverwinter Nights 2, KOTOR II, South Park: The Stick of Truth, and have now gone independent, with them Kickstarting Pillars of Eternity. What really tilts the scales in their favour is the fact that they’re mostly old Black Isle devs, so they know their RPGs. Yes, those Black Isle guys. The guys who gave us Icewind Dale and Planescape: Torment. Warhammer 40,000: Space Marine was THQ’s swan-song as far as I’m concerned. They died soon after, and the 40k IP for games was distributed willy nilly by Games Workshop (may they be damned). But before dying, THQ released what I personally think is the best non RTS 40k game yet. I know you have the Space Hulk games from the 90s, but they might as well be Alien vs Predator games with a 40k skin. Unlike other cover shooters, where you have very little health despite wearing armour equivalent to half a mine-proof car (I’m looking very pointedly at Gears of War.). Here you have a decent amount of health. not Doomguy level, but still, decent. And you don’t regenerate health, but take it forcibly from the game by stomping the everloving life out of your enemies. Besides which, you wield a chainsword/chainaxe not in the detached manner of RTSes (sorry Dawn of War), not in the too zoomed in first person (Sorry Space Hulk: vengeance of the Blood Angels) but in the third person perspective with all the lovingly rendered viscera. That was love at first sight for me. Vanquish was a lot of fun. Play it. What, you want more? Well, it was made by Platinum Games, the absolute madmen behind Bayonetta and Metal Gear Rising: Revengeance. Still here? It won many best game awards. What? just look at the damn trailer! Look at it! It’s glorious! It’s Beautiful! And if you sacrifice a black goat on a crossroads at midnight and chant “Hail Sonic!” for a week, Sega might port it on to PC! Get cracking! 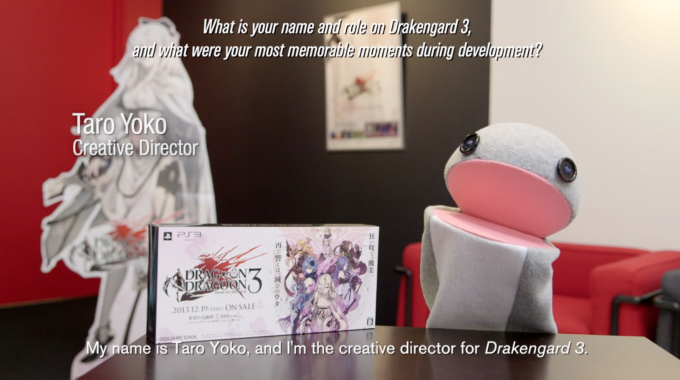 I’ll be honest, Yoko Taro’s games are mostly dull to play. But where he shines is the characters, settings and world building. His characters are complex, complicated and often irrational people with their own kinks and perversions (emphasis on perversion) and he is one of the few men who takes a cast of absolutely irredeemable people and makes loveable characters out of them. Loveable characters who stick with you after the game is over. Oh and if you can, try to play with the original Japanese voice acting with subtitles on, as localisation changes the entire tone of the characters. As for settings and world building, they’re hauntingly memorable. Lost Odyssey is a JRPG about an immortal who has lost his memories and must undertake an epic (in the literal sense) quest (or odyssey) to regain his memories and to restore balance to the world. Heads up, Hironobu Sakaguchi of Final Fantasy fame worked on it. And the cutscenes are in prose. And the combat is turn based strategy, with some eccentricities and strategy elements. Writing is beautiful and somewhat spiral, as in it twists and turns and dances around for a bit, capering around the plot points. E.Y.E: Divine Cybermancy is a game that has travelled in time from a more simple era. An era when games were labours of love. When games were made not to rack up sales figures or to appeal to specific demographics, but because the makers wanted to make a game. When you made games and audience found it, and not vice versa. It’s an FPS/First Person slasher hybrid with detailed damage systems and no token BS. It’s hard and you have to play by it’s rules. It’s a blast, in more ways than one, and you have to play it at least once. You might love it or you might hate it (i’ve never seen someone who said it was OK or mediocre), but you cannot say it’s just there. “You’ve got Wang!”, trills the new Lo-Wang, answering his phone while riding a black muscle car and listening to this. He then gets his manicured hands on a katana and a ridiculous selection of guns, and begins slaughtering ninjas, demons and ninja-demons on an industrial scale. I mean full on walls-painted-red slaughter. It’s fun and a real throwback to games from a more fun era. It also has the Revengeance style of dynamically chopped up bodies, and ridiculous amounts of gore. Oh and you can play this game any way you want: with one or two katanas, or a frankly silly selection of guns or with both. This game is a remake done right. It’s also getting a bigger, better sequel. With 3 other people beside you wrecking demons’ day up. I call dibs on the intricately handworked minigun. Right, that wraps up our short list here. There’s a lot more extremely good and criminally underrated games out there, we know. So share with us your favourite underdogs down below iuin the comments section. Bookmark our homepage for more nostalgic lists and other inane ramblings.